A second airline has announced plans to charge passengers an extra fee, just to take their handbag on a plane. Allegiant Air said it will be charging flyers $35 for carry-on luggage from Wednesday, which matches the charge for checked bags. The fee, which has not yet been publicly announced, will go live on the airline’s website at midnight on Tuesday. Each passenger will be allowed one free personal item – a laptop, purse or briefcase – provided it is small enough to fit underneath the seat in front. Anything larger that needs to be stored in the over-head locker will incur the charge. Like cabin baggage, paying online can soften the blow, lowering the cost to $14.99-29.99 depending on the destination. It is the second carrier to announce the fee – Spirit Airlines launched a charge in April 2010, but while successful, it wasn’t hugely popular. Television journalist Matt Lauer told CEO Ben Baldanza that the policy would go down ‘like a fart in a church’. 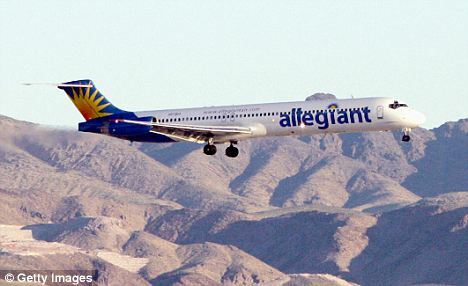 Allegiant, based in Las Vegas, is a small-time aircraft carrier that ferries travelers from smaller cities to vacation spots such as Orlando, Florida and Las Vagas. It carries less than 4 percent of the traffic of United or Delta. Read the full Daily Mail story here….